Acclaimed violinist Anne-Sophie Mutter returns to recording chamber music after two highly successful albums devoted primarily to concertos (Mendelssohn and Bach & Gubaidulina) and also returns to Brahms, a composer who has meant much to her over the years. 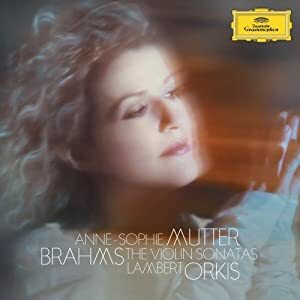 Mutter is joined by longtime partner Lambert Orkis with whom she previously recorded the complete Beethoven sonatas, and the two reveal the musical benefits of frequent collaboration. This new recording will be available October 12, 2010 in both CD and DVD formats.